Student-Athlete Grad Rate Proposal. At the 2019 NCAA Convention, delegates adopted a proposal that requires Division III institutions to annually report student-athlete graduation rates. While the first mandatory submission date is June 1, 2020, staff encourages institutions to participate in the voluntary reporting this spring. Click here for the final voting grid results. Student Immersion Program. 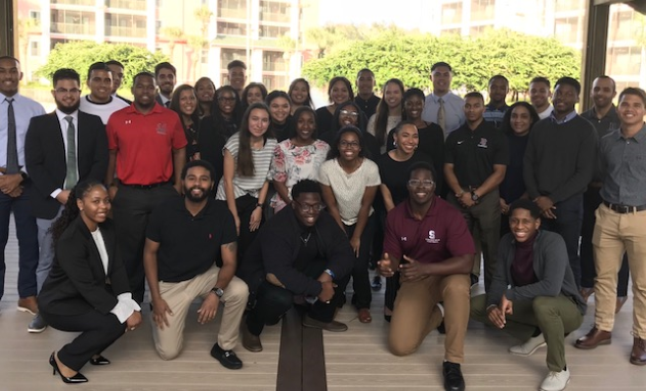 Thirty-six students participated in the 2019 Division III Student Immersion Program held in conjunction with the NCAA Convention. The students were assigned mentors, had networking opportunities and were fully immersed in the convention programming. Division III University. Staff recently launched Division III University—a new online learning platform, to provide educational modules to Division III athletics directors, senior woman administrators, head coaches and conference commissioners. Division III University currently contains educational modules related to the following areas: 1.) NCAA Division III overview; 2.) Student-athlete well-being; and 3.) Compliance. Each chapter contains an interactive course or series of courses that will educate users. Look for more content in the future. Make Your Emails Sound More Confident. Email etiquette is tricky. Here are five words that make you sound less confident and more unsure of yourself than you even realize. So, do yourself a favor and drop them. 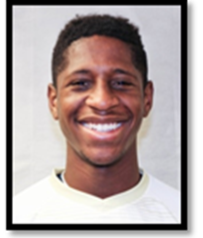 We asked Daniel Williams, a participant in the 2019 Immersion Program, a few questions. What was most memorable about the program? It was witnessing so many high-level leaders interested and rooting for your success. It’s intimidating to walk into a room with hundreds of commissioners, athletic directors, SWA’s, etc. but to see them all interact with you and eager to help you is an unreal and empowering feeling. What advice would you give students interested in a career in Division III? The first is to make meaningful connections. Don’t just network and connect with people but leave a lasting impression. Click here to read the remaining questions and answers. Opportunities and News to Share! Division III Committee Vacancies. Interested in serving on an NCAA committee? Check out the current openings and click here for the nomination form. Institute for Administrative Advancement. Division III is currently seeking nominations for the 2019 Institute. Candidates must be Division III administrators of color or head coaches of color looking to transition to administration. Please send candidate suggestions, their affiliated institution or conference office and email address not later than Wednesday, Feb. 20, 2019, to Yannick Kluch, office of inclusion . Contact us with your latest updates!